All of us, no matter what age, are vulnerable to same oral health problems. 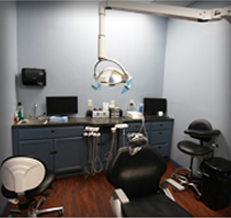 That's why our San Antonio dental office regularly cares for children in addition to treating adults. 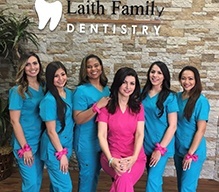 Just as you should see Dr. Kadamani and the Laith Family Dentistry team twice a year for a dental checkup and teeth cleaning, the same is true for your son or daughter. With two visits each year, we can help your child learn the basics of oral care, in addition to giving him/her a cleaning to preserve good oral health. 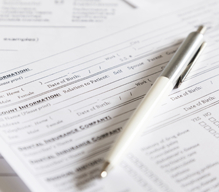 If you’re ready to find out more or schedule an appointment with us, please don’t hesitate to give our team a call. 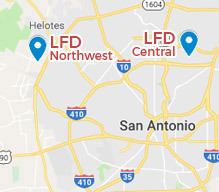 With two convenient San Antonio dental office locations, there’s a Laith Family Dentistry near you. Your child's first visit should be as fun and stress-free as possible. To help with that, we recommend bringing him/her with you on one of your own checkups first, so your child can become familiar with the sights and sounds of our office. We call this a Happy Visit. 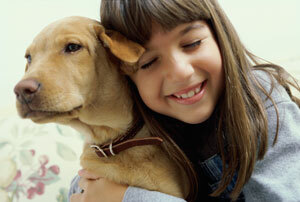 When your child comes in for his/her own visit we will complete a tooth-by-tooth inspection and periodontal exam. Dr. Kadamani will also check for proper development, as well as tooth decay and other areas of concern. In addition to regular dental exams and teeth cleanings, our friendly team of dental professionals are happy to offer a wide range of other kid-friendly preventive dentistry services, including dental sealants and fluoride treatments. Keep reading to learn more. Dental sealants, as the name implies, are applied to the teeth to seal out decay-causing bacteria, plaque, and tartar. We simply paint a thin coat of resin onto the surfaces of teeth. Then, a curing light hardens the resin into position protecting teeth from damage or decay. Fluoride is an essential nutrient that needs to be ingested during the development of healthy teeth. Monitoring your child’s ingestion of fluoride form tap water, foods, and supplements can help to ensure kids develop strong, healthy teeth. 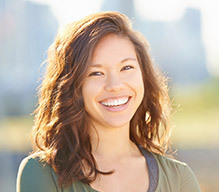 Once teeth erupt from the gums, you’ll need topical fluoride to maintain healthy tooth enamel. The majority of kids and adults receive adequate fluoride from their toothpaste, but for those who are struggling with chronic decay, dental sensitivity, or weakened tooth enamel, topical fluoride treatments may be beneficial. These treatments can be quickly and comfortably applied during six month dental checkups to strengthen and protect teeth between biannual visits. As your child grows, he/she will need regular hygiene visits to ensure optimal oral health. Our San Antonio team will also teach your little one about brushing and flossing, and we may recommend dental sealants or fluoride supplements. Sealants are thin, clear coatings that protect teeth from decay. Fluoride, meanwhile, attracts other minerals to strengthen tooth enamel and ward off cavities. Sealants and fluoride supplements are quick and easy services that can save your little one from cavities. 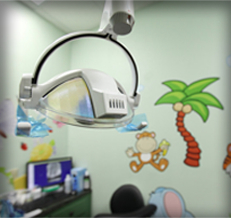 If you’re ready to schedule an appointment for your little one, call Laith Family Dentistry. Our San Antonio dental team is happy to serve the needs of children and adults through comprehensive general, cosmetic, and restorative care. We look forward to serving you.